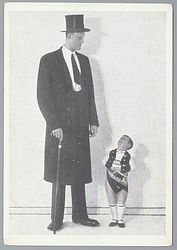 In a sideshow the term Giant was used to describe a human being of exceptional height, generally somewhere between 7 feet and 9 feet tall. 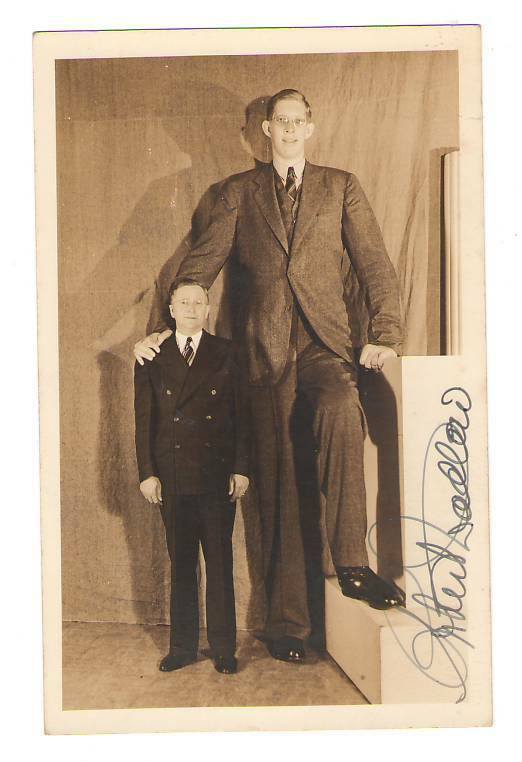 The unusual height is the result of a condition called “gigantism”, which is caused by an over production of human growth hormone (“HGT”) during childhood. 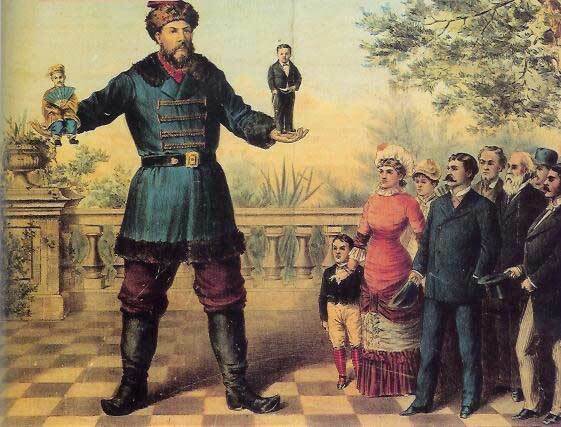 In most cases, the excessive production of HGT is caused by a tumor on the pituitary gland; although a genetic abnormality of the pituitary gland can also cause gigantism. 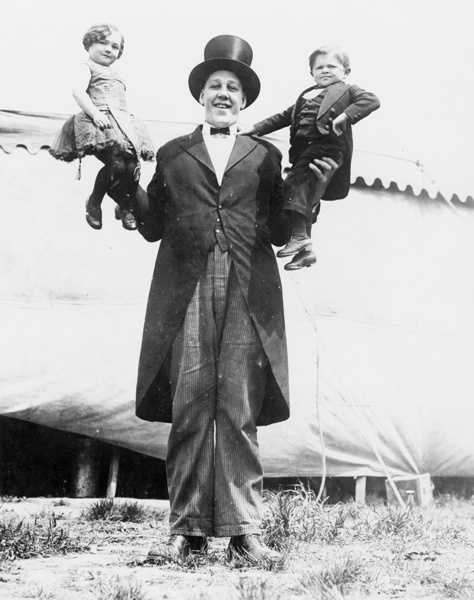 The pituitary gland, which is often referred to as the “master gland” of the human body, is located just below the brain. 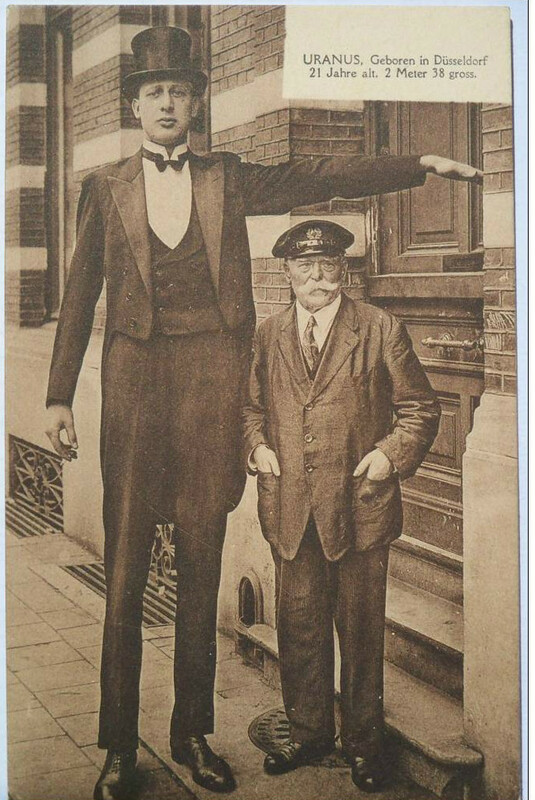 The pituitary gland, also called the “hypophysis”, is connected to the brain and controls most of the endocrine system by the secreting a half dozen different hormones into the circulatory system. 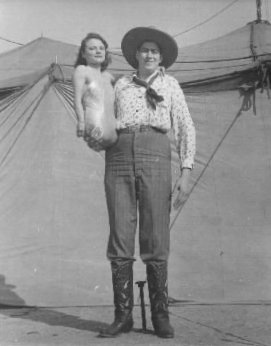 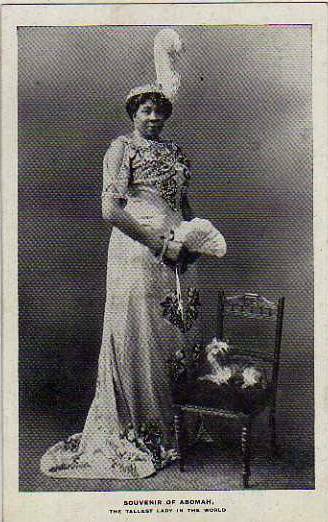 Al Tomaini (married to “Half Girl” Jeanie Tomaini) was seven feet four inches tall, but often claimed to be over eight feet tall. 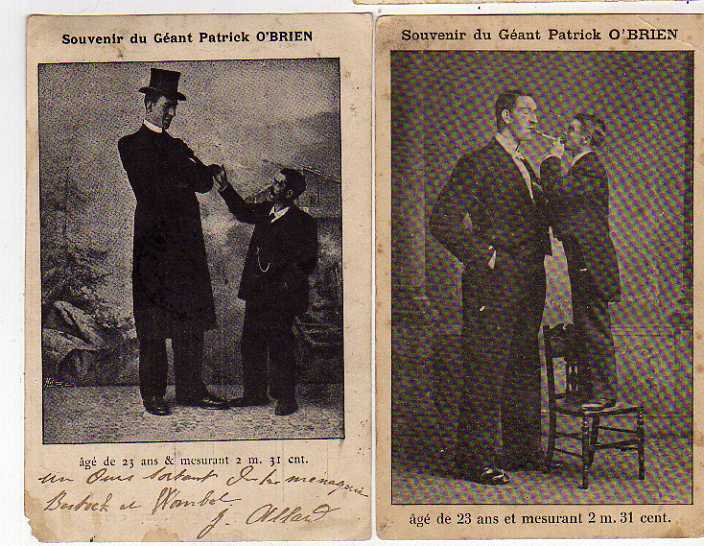 Charles Byrne, ” The Irish Giant”, was seven feet seven inches tall. 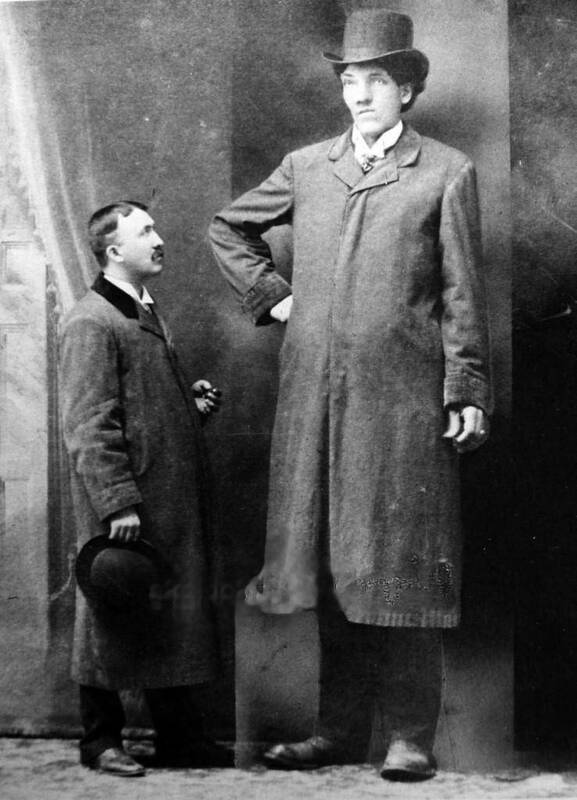 Jack (Jim) Tarver, was seven feet ten inches tall. 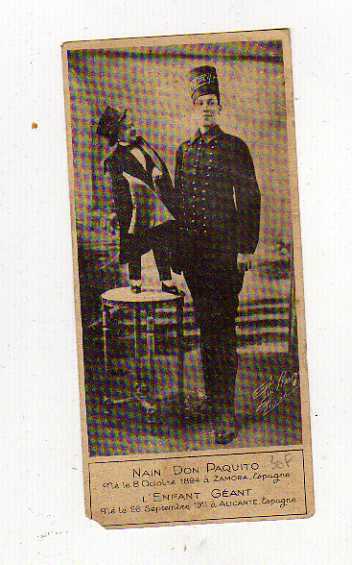 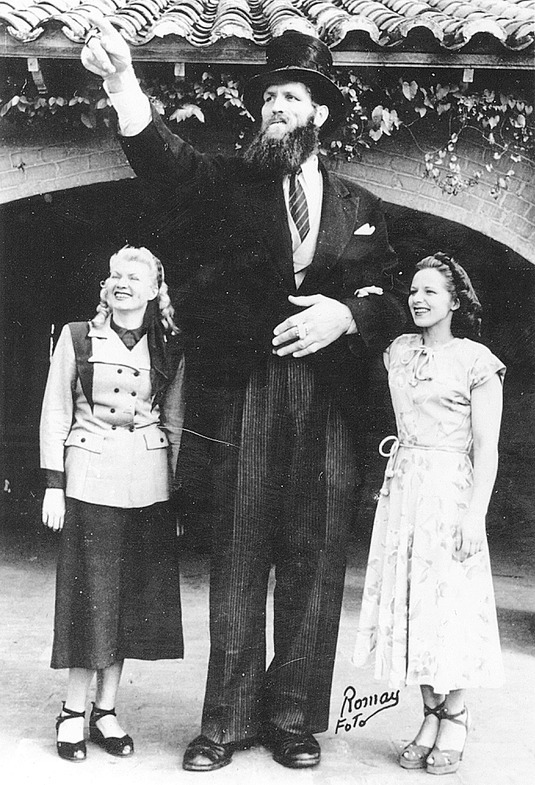 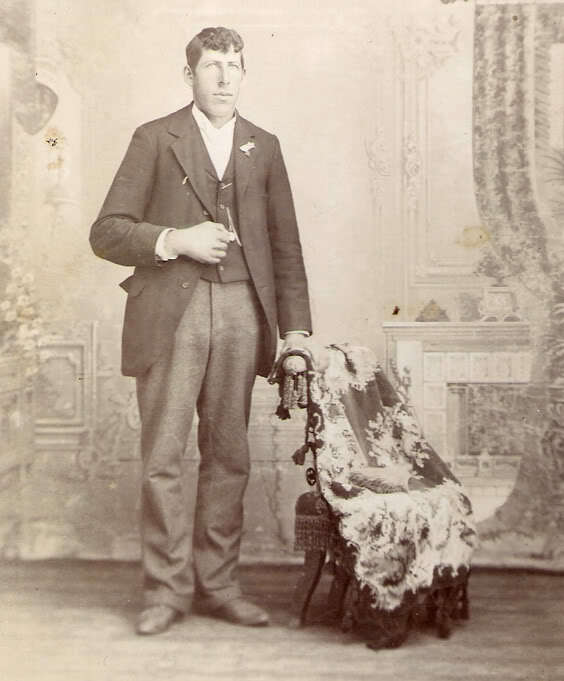 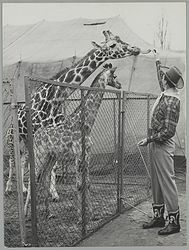 Jack Earle, “The Texas Giant“, was over eight feet six inches tall. 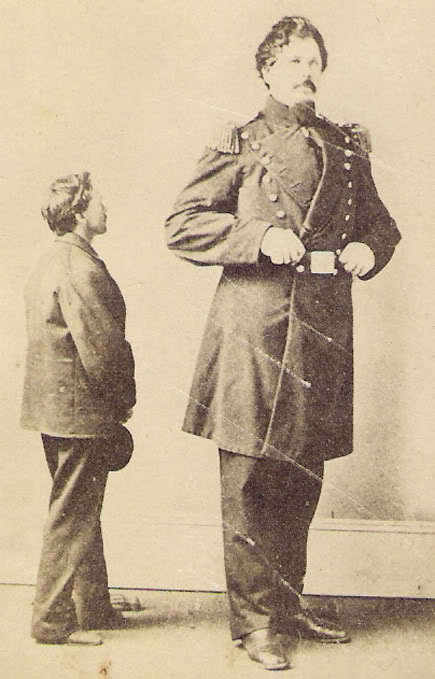 Johann Petursson,”The Icelandic Giant”, was eight feet eight inches tall. 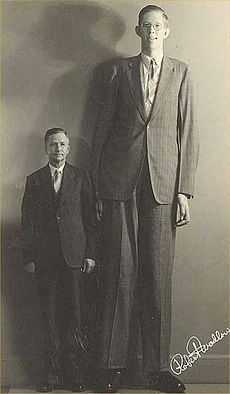 Robert Wadlow, “The Gentle Giant”, was eight feet eleven inches tall.